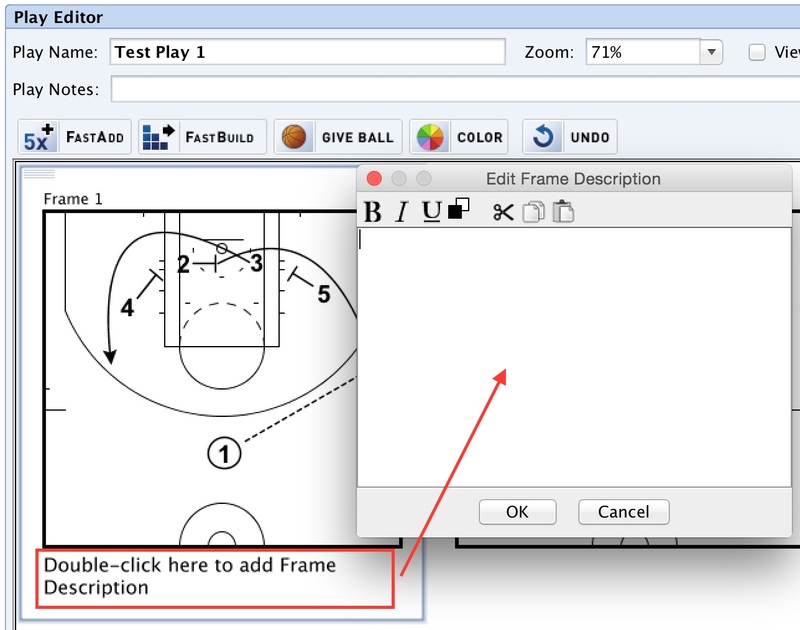 The most common place to enter text for your diagrams is the Frame Description section. You can double-click the white section directly below any frame of your diagram and you can enter your Frame Description. Use this area to describe the action taking place in each frame. You can also drag the "Text" icon over from the stencil palette and add text directly onto the court. After dragging the text onto the court, a menu will open allowing you to type in the text value that you want on the court. 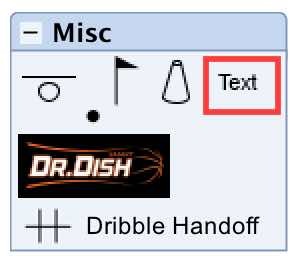 Once you are finished, you can drag and rotate the text to any place on the court, just like a player or action stencil. 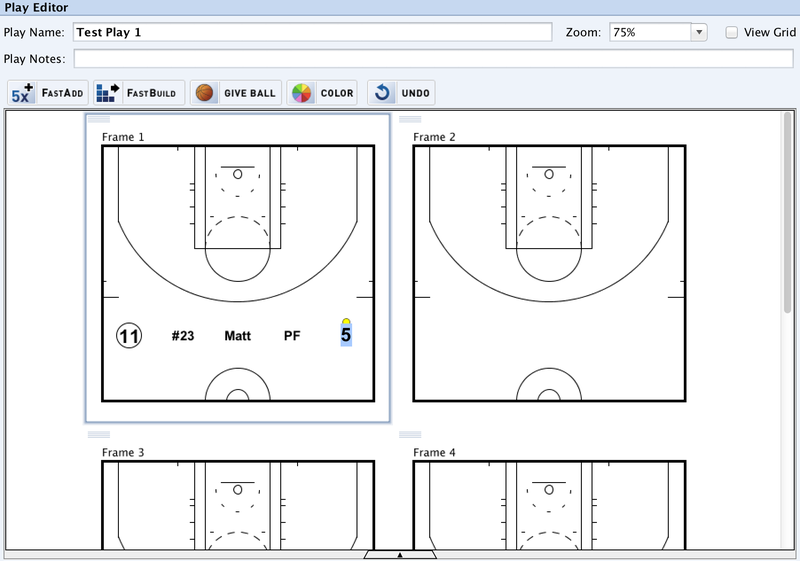 Lastly, you can double-click on any player on the court to add a custom text or number label for that player. 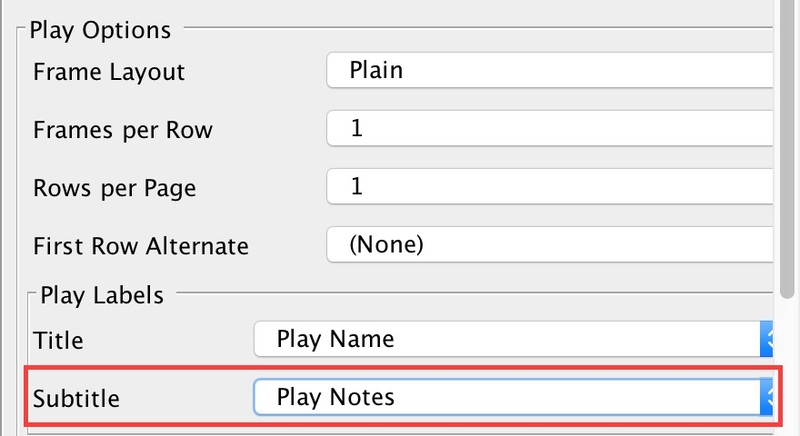 A short notes section is available in the Play Editor window, just below the Play Name. These notes do not automatically print in your playbook, but can be turned on from the Playbook Settings menu. Play Notes can be added to either the Play Title or Play Subtitle, which will appear above the frame. Because of the limited space available in the Play Title and Play Subtitle areas, the Play Notes section is best used for very short notes. This might include a visual cue for the play call, for example, or the time of the game that the play was run. More extensive notes should be placed either in the Frame Descriptions, or in the Coaching Points section. 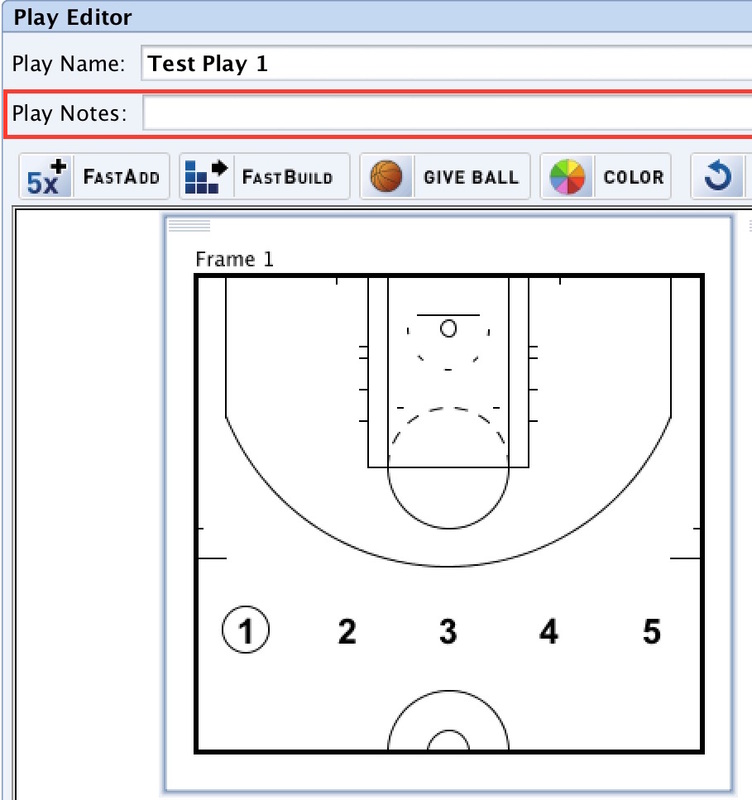 For extensive notes that do not fit in the Frame Description area, the Coaching Points section can be used and added to any playbook. Full details on using Coaching Points can be found in the Coaching Points article.